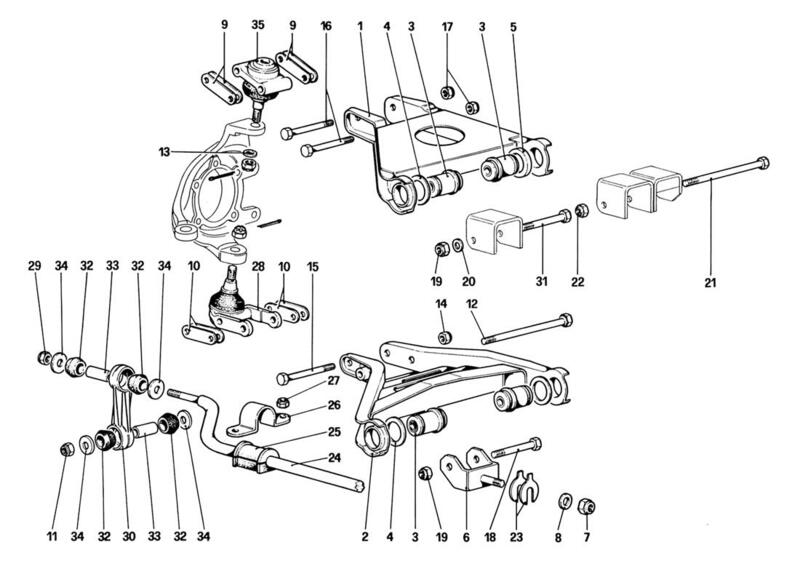 Ferrari 328 (1988) FRONT SUSPENSION - WISHBONES (UP TO CAR NO. 76625) - Ricambi America, Inc. Location: 23 Prev | Next Part: 107025 *Qty: 8 Shim for lower fork, thickness 1 mm.